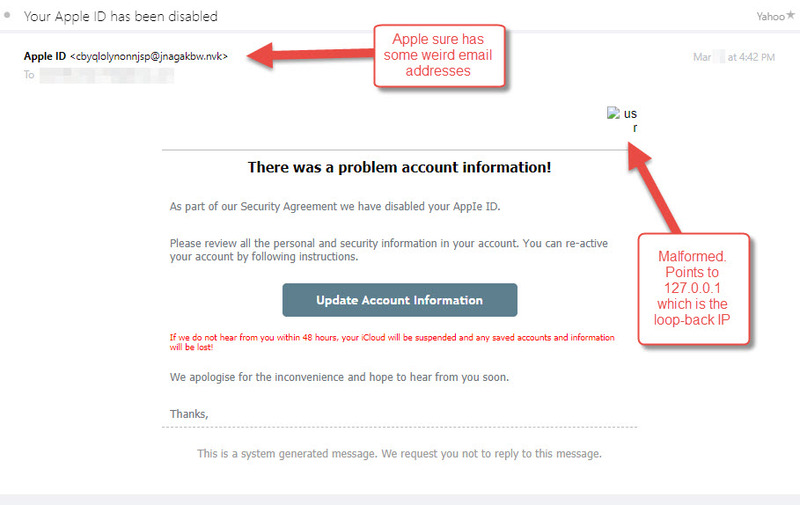 If you see something like this below show up in your email, ignore it and DO NOT click on anything within this message. It is bogus, fraudulent, phony, fake, faux, as scam, phishing attempt, dishonest and a slew of other terms to be used. Look at the image below, don;t be fooled. delete it! The only way you can remain safe on the Internet is to be aware of these scams and plan accordingly to ignore and steer clear of them.